Any food that is Christmas shaped is a winner for me and also I love shortbread, especially at Christmas time. 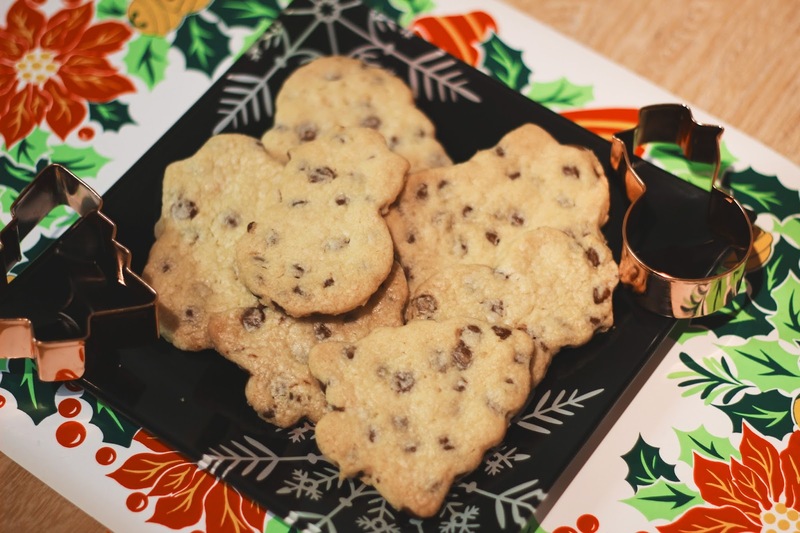 I thought I’d combine these things and make some chocolate chip shortbread in cute Christmas shapes. 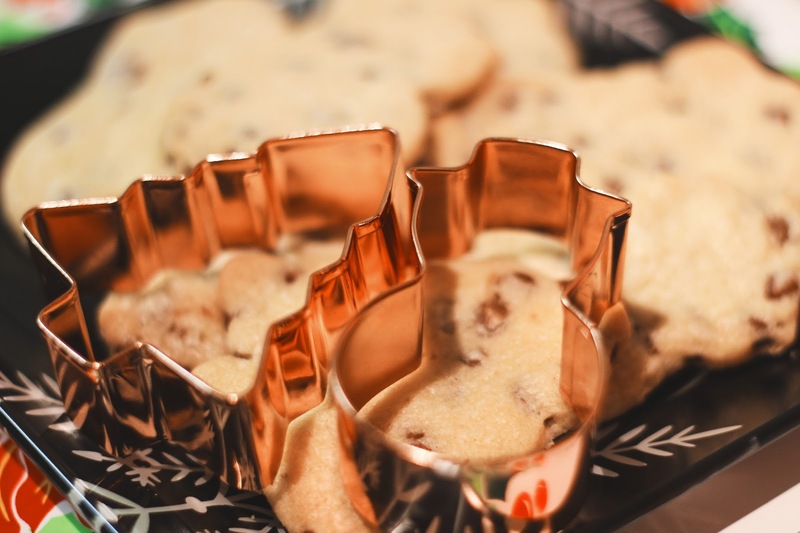 Also notice my blogger friendly cookie cutters, those copper vibes! 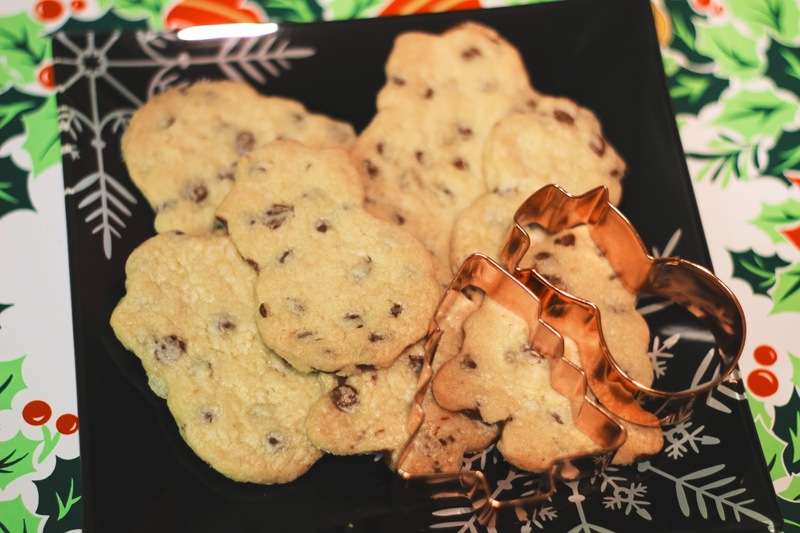 These did spread a bit in the oven, so take note of that if you make them. I found this recipe here. 1. Line a large baking tray with baking paper. In a bowl, beat the butter and sugar together until soft and creamy. 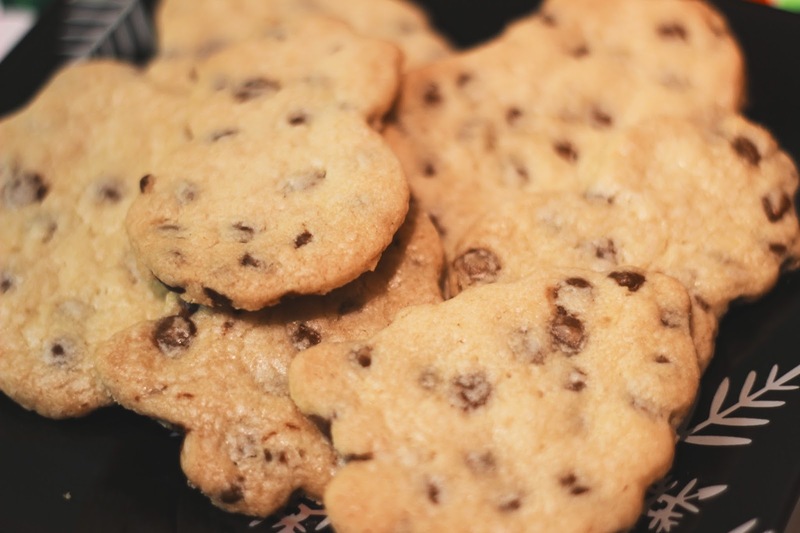 Add the flour, salt, vanilla and chocolate chips and stir into the creamed butter and sugar until the mixture forms a firm dough. 2. Turn onto a lightly floured surface and knead gently until smooth. Roll out to a thickness of 1cm – the mixture will be quite short. You can use a 6cm round cutter, which you should be able to stamp 15 rounds out with, or you could use shaped cutters like I have! 3. Arrange on a baking tray, spaced slightly apart. Prick the tops with a fork and chill for 30 minutes. Whilst they are in the fridge, preheat the oven to Gas Mark 4/180c. 4. Bake for 15-18 minutes until lightly golden. Cool on the tray for 5 minutes, then transfer to a cooling rack to cool completely. Do you like shortbread? Do you associate it with Christmas?